Iceland — 2checkingout | travel and adventure | Inspiring. Capturing. Experiencing. Iceland uniqueness makes it one of the countries we get asked the most questions about. The land of fire and ice is where glaciers and volcanoes meet head on. In fact 11% of Iceland is covered in glacier and about 30% is lava fields with a volcano erupting about every 5 years*. Usually in remote areas. Fascinatingly Iceland sits on the Mid-Atlantic Ridge where the two massive American and Eurasian tectonic plates are slowly spreading apart (1-2cm a year). You can even walk across the huge rift between the plates. Tourist numbers are increasing with around 42% of visitors arriving in June-August to enjoy the midsummer nights, hiking, river rafting and fishing*. Year round the geothermal hot pools are great to relax and replenish. Iceland is a small place with just 322,000 people (Oct 2013). So small that everyone is listed by their first name in the telephone book. First names are always used, even in formal situations. Even more unusual, a person's surname is actually their father's first name*. Icelandic horses have been used for more than a 1,000 years as transport and food. Uniquely these beautiful beasts have 5 gaits, including the flying pace which makes them good for racing. Once exported they cannot return to Iceland, keeping the native horses pure and disease free*. Beer was illegal in Iceland until 1989*. Even now alcohol is incredibly expensive so you may want to do a duty-free run at the airport when you arrive. Iceland enjoys never-ending hot and cold water. 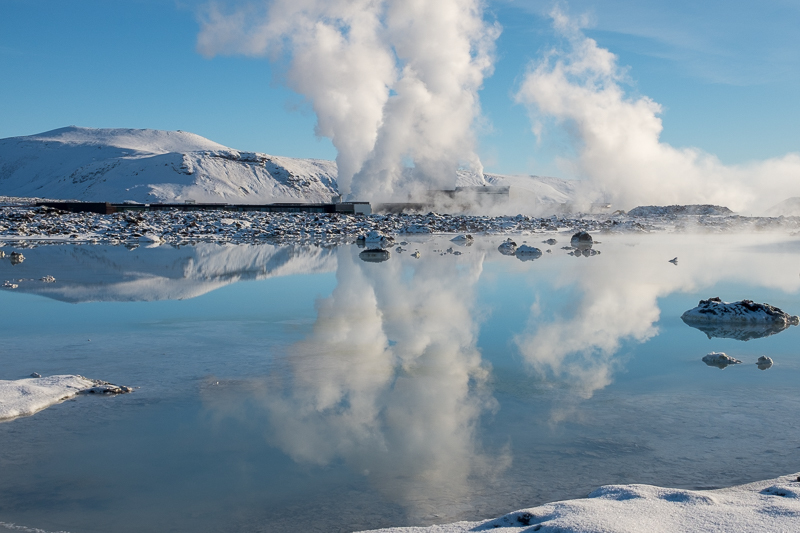 Thanks to geothermal activity Icelanders can take long hot showers and crank up the heating for next to nothing. The cold water out of the tap is as good as spring water and free. This depends on what you are interested in. Warmer temperatures (up to 17° C) make summer a great time to visit if you want to do outdoor activities. Attractions and museums are usually open from late May until early September. February/March and September/October are better if you want to witness the Northern Lights and dramatic snow drenched landscapes. Be prepared though for extreme cold (down to -8° C) and ice under foot. You will need your thermals and good boots! February/March can also be good for nature buffs with orcas visiting the coastline. In our blog Land of Fire and Ice: Things to See and Do on a Winter Break in Iceland we do a whistle-stop tour of the snowy highlights and check off a bucket list item, the sensational aurora borealis.